Looking to make your own DIY Roman shades? It’s a great idea, and you can save a lot by making them yourself than buying. All you need are these easy detailed tutorials to guide you through. Roman shades provide style and privacy in the form of window treatment. They make a great accent, and they can introduce popping patterns into your home decor. More often than not they are a real conversation piece. 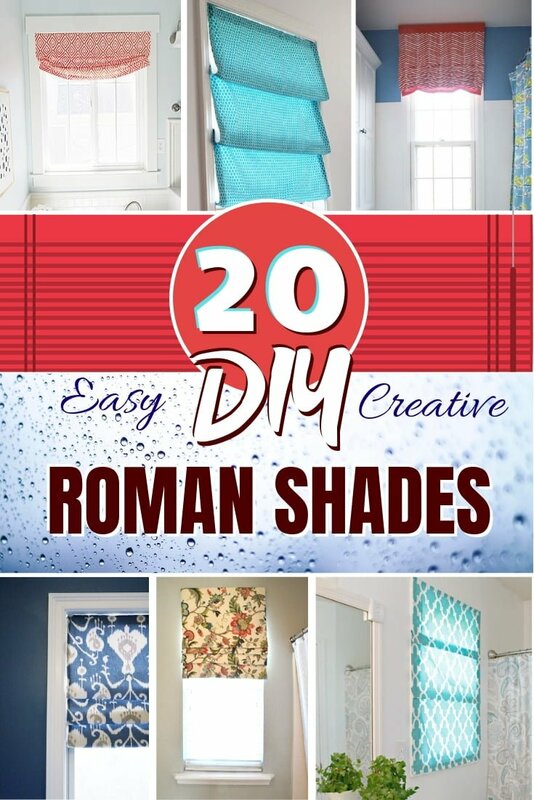 So we’ve picked up 20 of the best tutorials for DIY Roman shades that you can make even if you’re a beginner. Some of these are easy while others are a bit more involved. It all depends on what kind of shades you want to make at home exactly. Do you have your favorite pattern fabric? We always have something like that in our homes and any chance to use it in crafts is most welcome. And because we’re on the topic of roman shades, that’s exactly what we will do now. 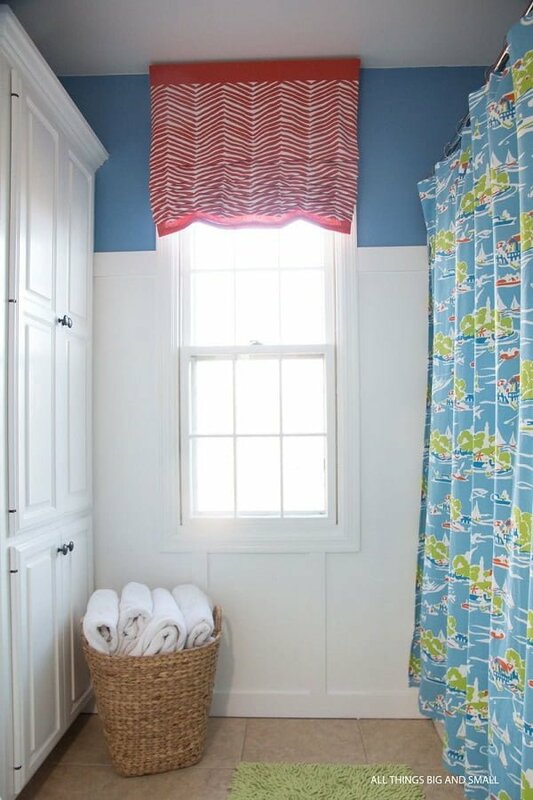 You need mini blinds to use as the base and your favorite fabric for this project. 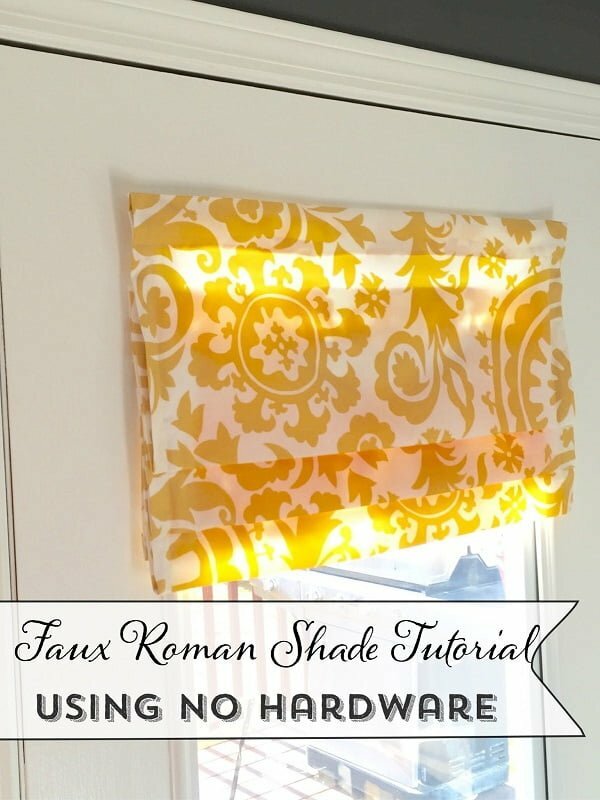 You can make beautiful DIY roman shades using this technique. It’s rather easy when following the instructions in this tutorial So have fun! Want to make your roman shades from scratch? Yes, we know, it’s always that much more fun to make something from nothing. 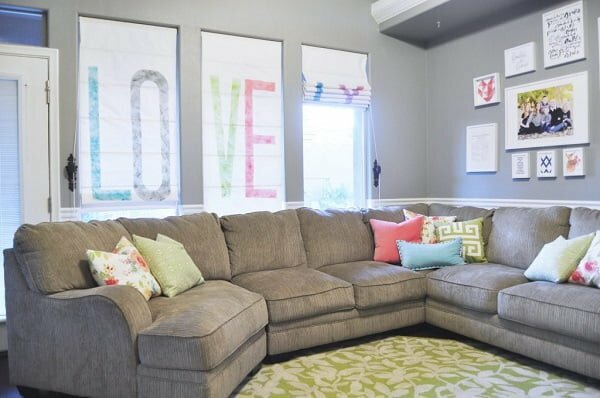 So this project allows you to do just that – make your DIY roman shades from your best fabric. 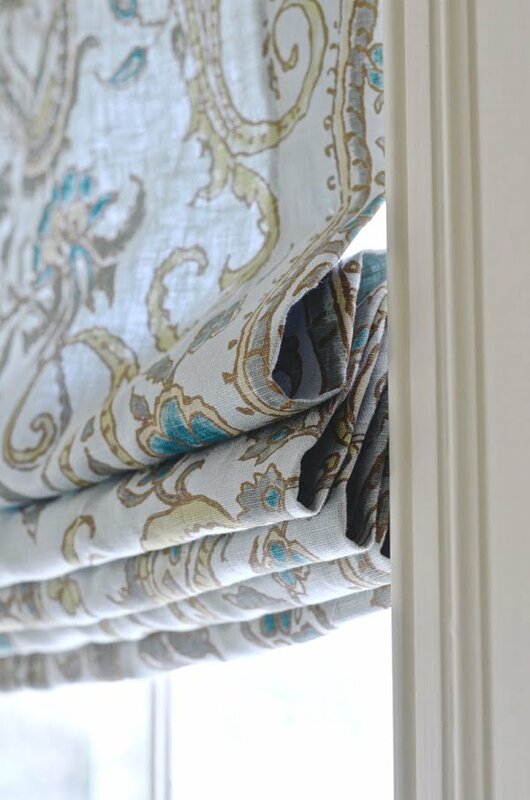 You will need your favorite fabric, rope, plastic rings, and a dowel to put together your roman shades. This project is more involved than just using mini blinds, but it’s much more rewarding as well. So get ready to craft and have fun! Do you want something more functional? How about these double layered roman shades. While they are mounted on the same hardware, they can be used for day and night curtains. Talk about two birds and one stone! You will need the hardware for the roman shades and fabric for two sets of curtains. How to put it all together is explained in the tutorial. There’s not much creativity in this project, but the result is very multi-functional. Making your own DIY roman shades can be quite intimidating. It’s not a simple project, indeed! You need as much help as possible to do it. And this tutorial is here for you. 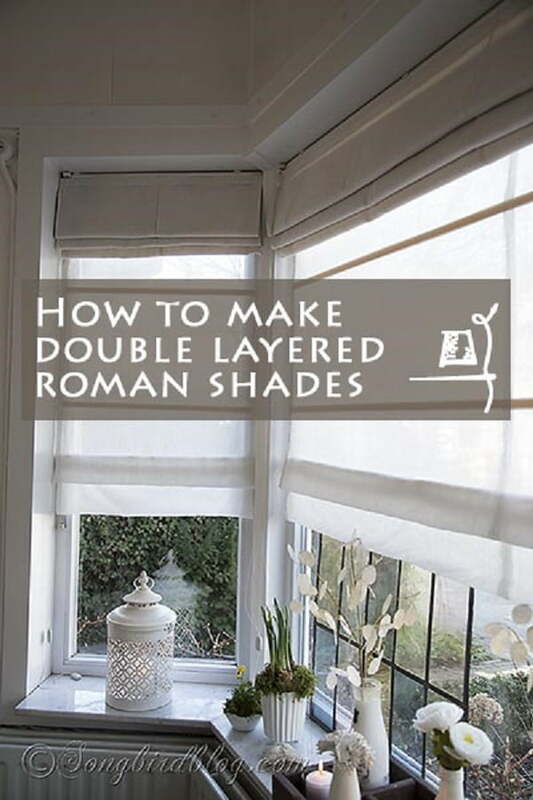 These very detailed instructions can be used to make your roman shades from any fabric or variation. 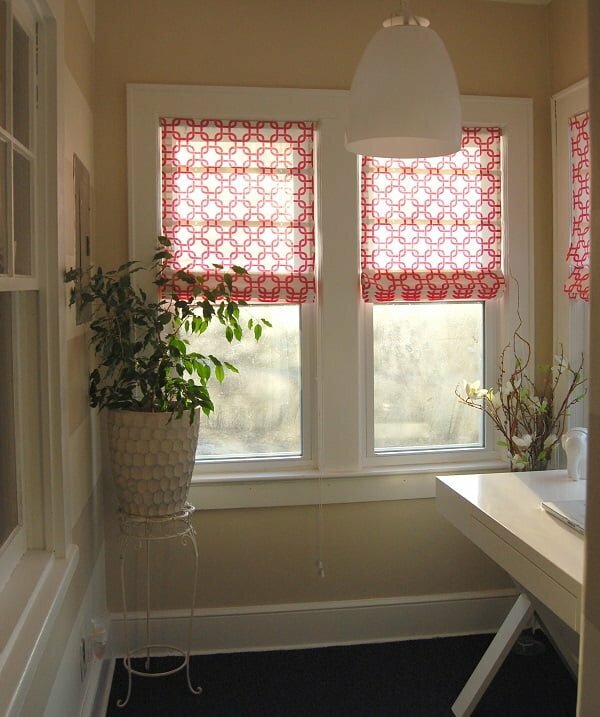 Use it as the base for any type of roman shades and adjust as needed. At the end of the day, remember to have fun crafting! One of the purposes of Roman shades is to provide blackout for the room. It’s especially useful at night or on those summer days when you want your space to stay cool. Here’s a tutorial for this kind of shades. You will use mini blinds for this project. Combine that with your favorite pattern blackout fabric, and you can make Roman shades of your dreams. The tutorial is easy, so you can have a lot of fun with this craft. We’re always trying to find easy tutorials for those of you who are new to DIY projects. Making your Roman shades can get quite involved, so any help is much appreciated. This tutorial makes it as easy as possible. 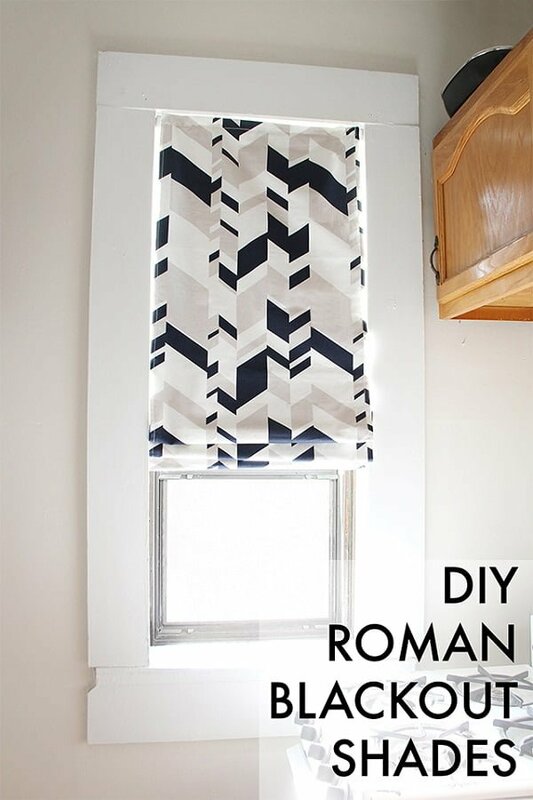 If you’re looking for an easy way to make your DIY Roman shades, use this tutorial. You’ll be able to make the thing and be creative about it. Have fun! What makes balloon shades so unique? They’re a little bit less complicated to make. It’s just the right kind of shades for a bathroom. You can make balloon shades using this tutorial. It’s a great project you can do overnight. The design itself is so easy that even beginners can do it. Most importantly, have fun with it! Looking for something simple that requires no sewing and little hardware. This project is just right for you. You can make DIY roman shades without sewing nor using dowels or pulleys. How is that possible? Take a look at this excellent tutorial to see. You can use just about any fabric you like for this project. All the details are included in the tutorial. So check it out and have fun. If you’re not a big fan of hardware, you might want to check out this little project. These roman shades are fixed so there are no pulleys involved. The setup is easy, and you can do it overnight. You’ll need your favorite fabric and a 1×4 wood plank. The rest of the instructions are included in this tutorial. 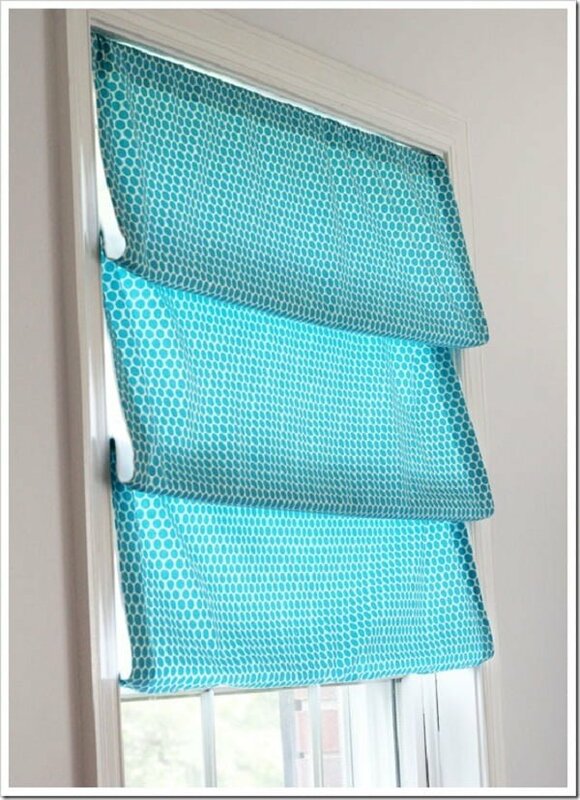 So check it out and have fun building your fixed Roman shades! Usually, Romand shades involve hardware and a crafty hand to make them. Indeed, it can be quite a complicated project! But if you’re looking for something easy, you might want to try faux Roman shades with no hardware whatsoever. If you can fold and stitch, you can do this project. And this is precisely the decorative window treatment that your home might need. The process is simple and well explained. So check out the tutorial and have fun! It’s incredible how many options you have to build simple Roman shades. People get creative when there are constraints on materials, budget, skills or time. So if you think that making your DIY shades is a complicated project, think again! So you need just four tension rods and fabric cut to meet the measurements of your windows. Some basic sewing skills and iron are required too. Everything else is explained in this tutorial. Find your favorite fabric and let’s get crafting! Regular blinds aren’t attractive. We don’t even have to tell you that, otherwise you wouldn’t be looking how to make your Roman shades. You need something with more decor value. It would help if making them was a rather easy project too. That’s what this tutorial is all about. Having just lovely fabric, rope, plastic rings, and a wooden plank, you can put together some excellent Roman blinds. This project is for just about any room. You can do it over a weekend as well. And have fun while doing it! Yes, it’s another project for DIY Roman shades using mini window blinds. The reason there are so many of them is that it’s a great trade-off. 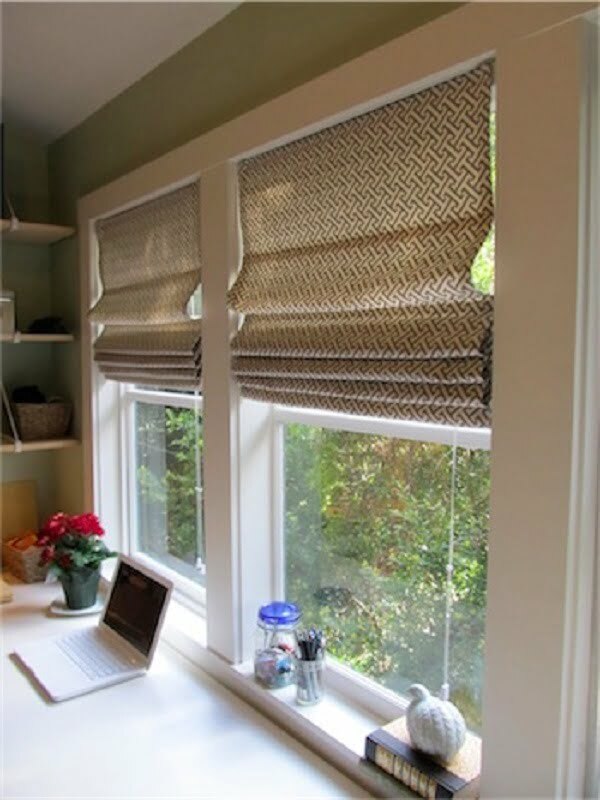 You can get cheap mini blinds and use them to make your shades. You’re not concerned about utilizing basic blinds. And the result you get is fantastic. We can’t stop putting these examples together. 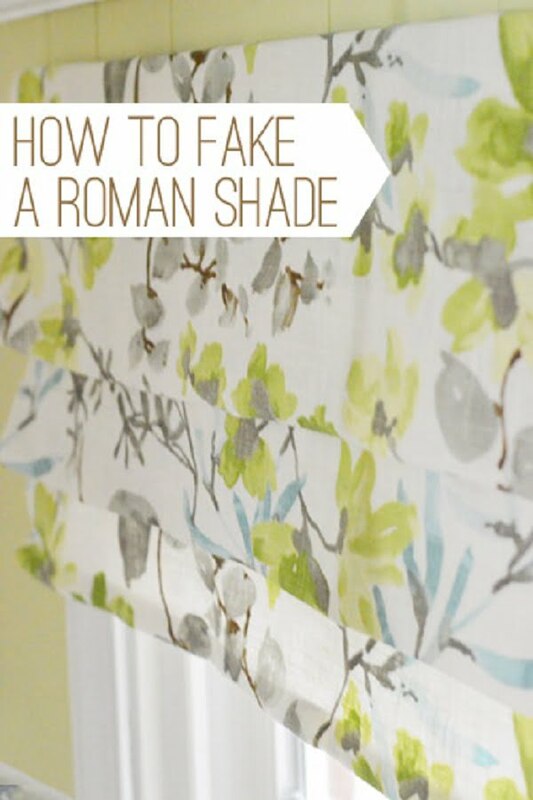 Use the fabric you like, gather other craft supplies and make your DIY Roman shades. We’re sure you’ll have fun doing it. 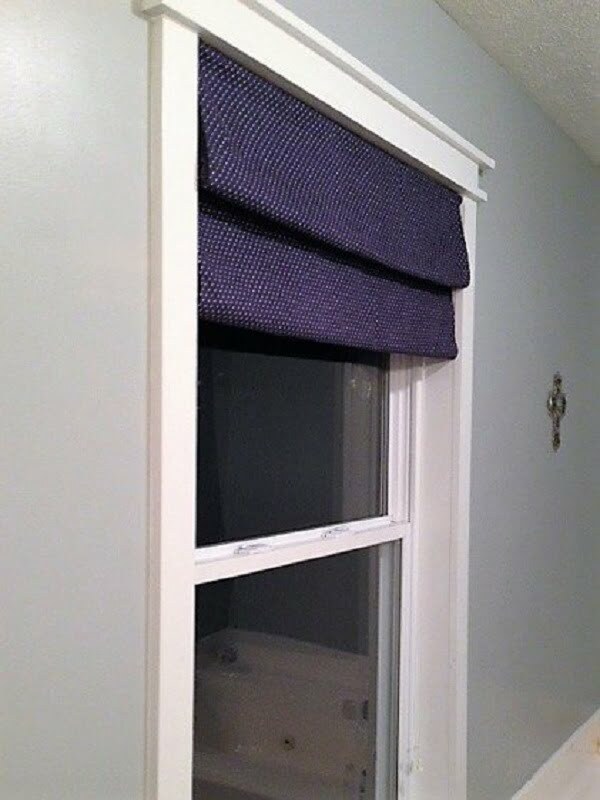 Making your DIY Roman shades if a great way to save money. Even simple curtains can cost a lot of money. While making them from your fabric costs a penny on the dollar. That’s why we have so many tutorials for DIY Roman shades. The following tutorial will give you one of the easiest ways to make them. You have so many options before you. Choose your favorite fabric for this project and have fun making your curtains. 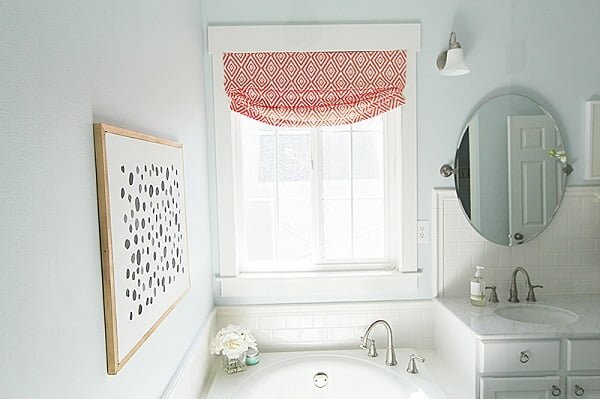 If you’re making your Roman shades for a window that you’re not going to open anyway, such as a bathroom, faux shades are all you need. You don’t even have to sew to make them. And while it’s an easy project, you can be as creative as you want. It’s also a great one for beginners. There’s no hardware installation involved so you can take it easy. It’s a great project to make overnight. 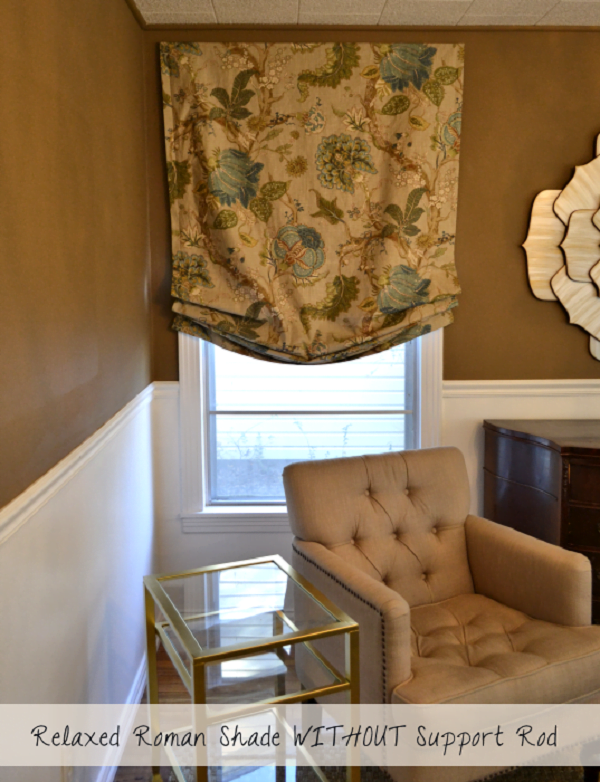 Relaxed Roman shades are just one type of the shades you can make. It’s also one of the most stylish. You can easily make them even without sewing. These are faux shades, but they look just as good. You can do this project only by using glue and thumbtacks. Such an easy project to do and have fun while doing it! 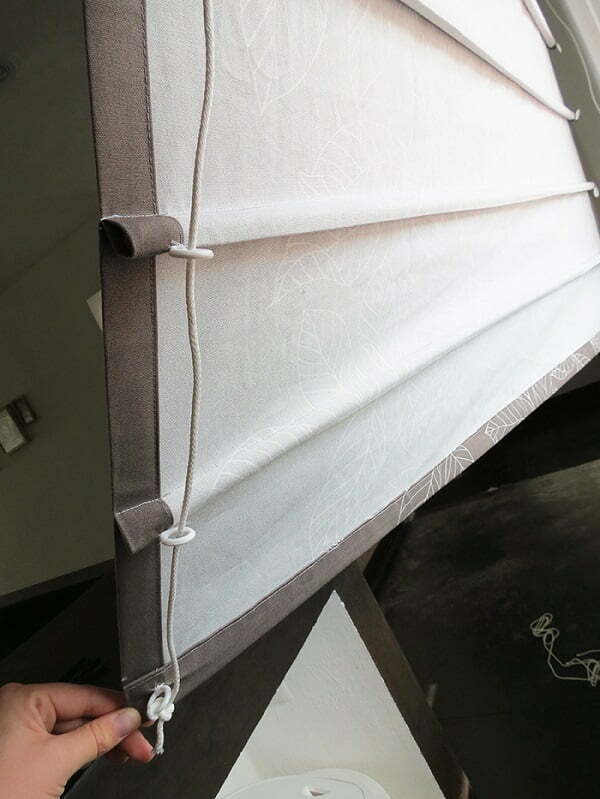 Do you have disposable blinds just lying around your home? 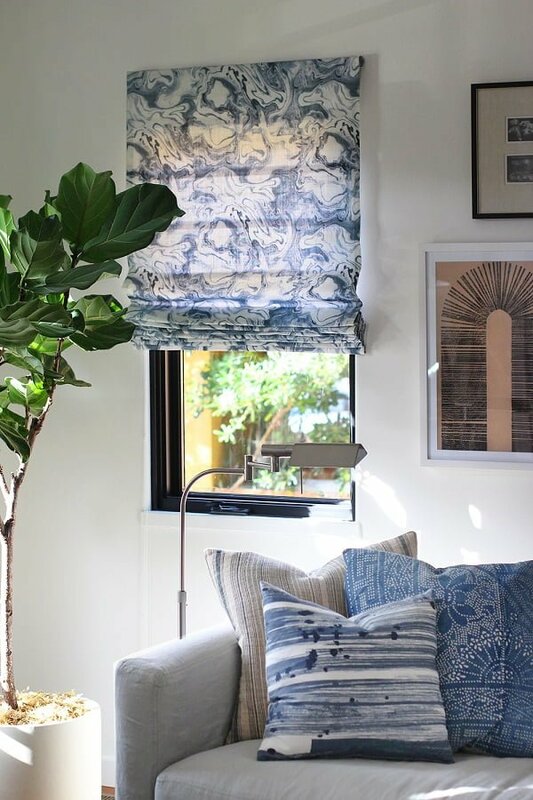 Did you know you can make great Roman shades from them? It’s an easy project too that doesn’t require sewing. So if you need something simple, this tutorial is just right for you. You can use any fabric too. Have fun! Fake doesn’t mean it can’t have a significant decor impact. Especially when it comes to the window treatment. It’s an easy project that you can complete overnight. If you’re on a budget, it’s exactly what you need to dress up your windows. 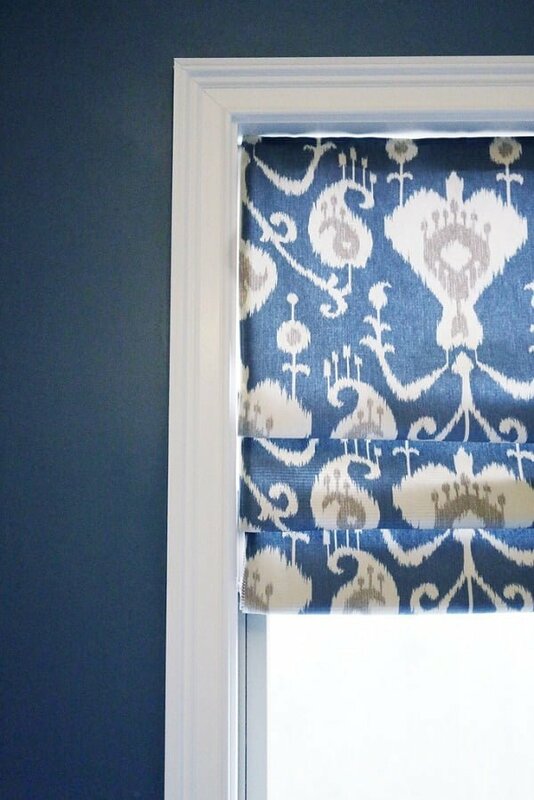 Use this tutorial to make your DIY Roman shades. And have fun while doing it! 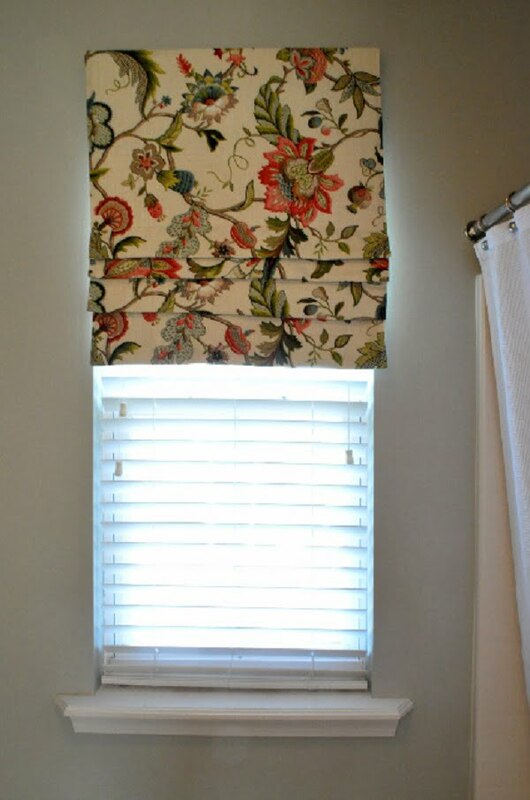 Roman shades can be expensive, that’s why you have to be crafty. You can build them yourself from start to finish. 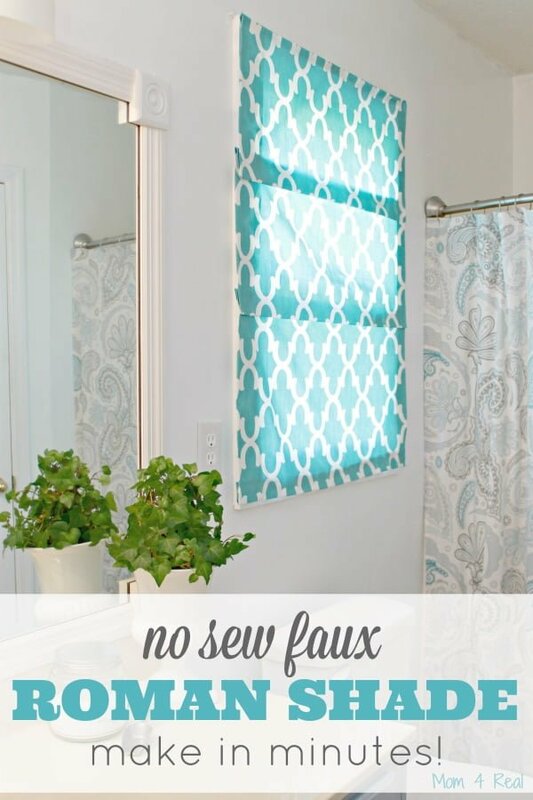 Or you can create faux shades that aren’t as functional but still look great. You can even put them over your regular blinds for more privacy. That is what this tutorial is all about. It’s easy to follow, and you can do this project overnight. Just follow the instructions. 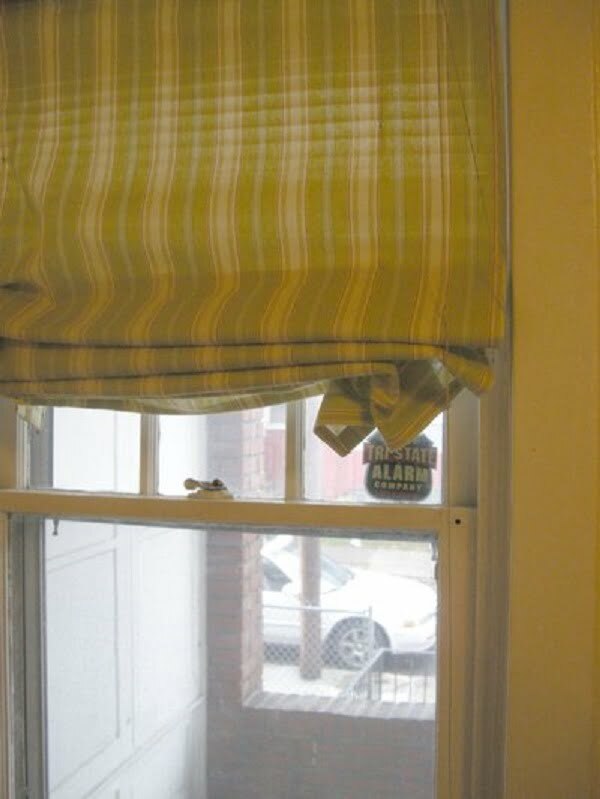 Have old window blinds as your window treatment? Here’s a great way to revamp them and bring them back to life by transforming them into Roman shades. It’s a great DIY project to take on if you’re on a budget. After all, you’re saving on the Roman shades which can be quite expensive. You don’t need much experience to complete this project either. It’s a simple task that you can complete by following these step by step instructions.